It's a sad truth that the Internet is gonna hate, hate, hate, but the backlash against two-time Bachelorette contestant Nick Viall is unjustified. 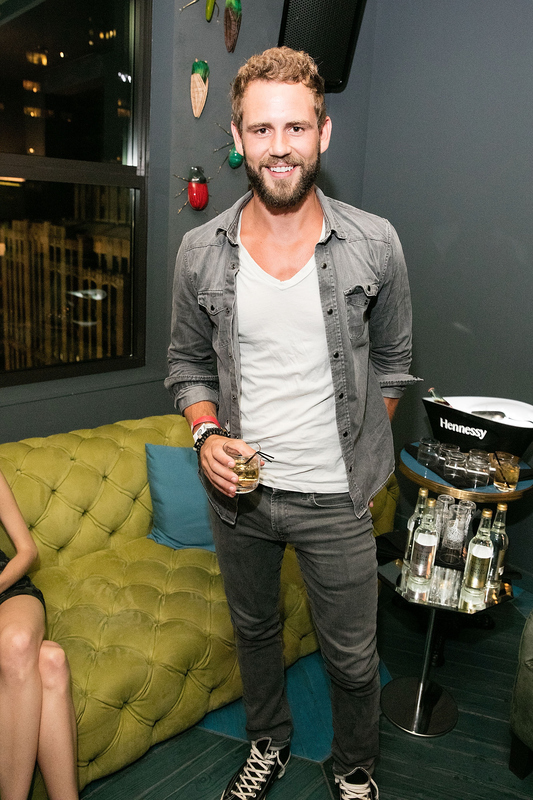 Sure, Viall stirred up his fair amount of controversy on both Andi Dorfman and Kaitlyn Bristowe's seasons, whether it was his "below the belt" comments regarding an intimate moment between himself and Dorfman or that feud with Shawn Booth. If you watch both of Viall's Bachelorette seasons, you'll see he was a pretty good guy. Whether you were #TeamShawn or #TeamNick, there's no denying that Viall really, really wanted to fall in love. He told Bristowe, he told Booth, he told the cameras in his one-off interviews. When you get down to the nitty-gritty, The Bachelor and Bachelorette are all about the ultimate quest to find love, and the fact that Viall went through the process not once, but twice, is pretty impressive. Additionally, he did so with absolute sincerity. It can't be easy to have confidence in a method that stung you once before. He defended Bristowe when she got awful backlash from the haters. 2. Dorfman Says His Motives Are "Genuine"
Viall's ex defended him, telling Us Weekly, "I had my ups and downs with Nick, but the thing I will say about him is I know that he is genuine in what he wants and that is love. Whether or not he goes about it the way that everybody else would." He wasn't coming back to the show to pursue just any love; he couldn't take the risk of Bristowe falling for someone else. "I've always been attracted to confidence, and a woman who knows her own self-worth, which is really hard to find in this day and age," Viall told Bustle. "I find it really attractive when a girl, not in a cocky way, just knows that she has value ... and that she is deserving of respect." Happy or sad, Viall didn't put up a front on the show. Viall was rejected twice and, yes, he was clearly sad about it. However, he didn't let anger get the best of him. This is exactly what a show like The Bachelorette needs!